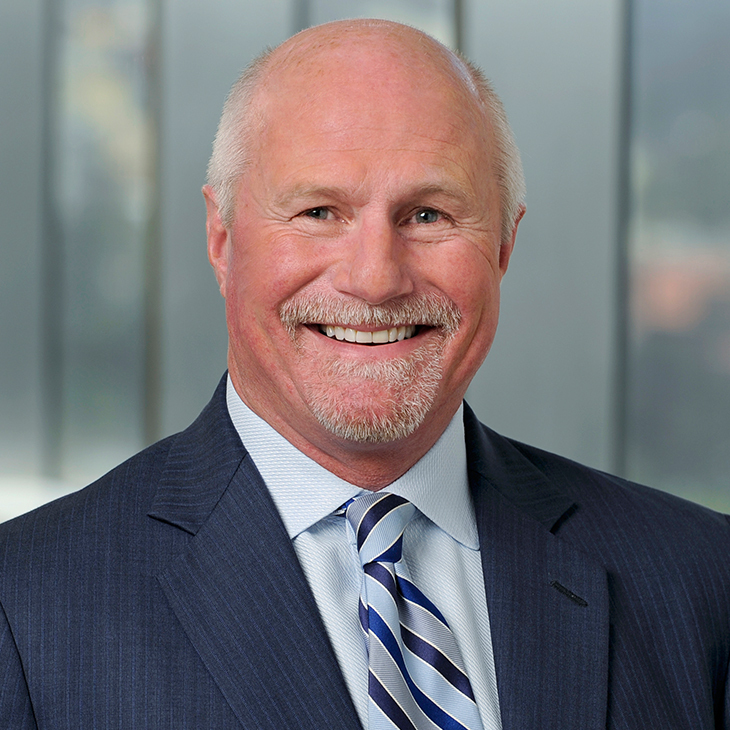 Craig de Recat is a partner in the firm’s Los Angeles office. His practice focuses on complex litigation, and he has a wide range of experience handling commercial, energy, environmental, antitrust, insurance, intellectual property, patent/trademark, and related business matter disputes for national and international clients. Craig is an experienced trial attorney often called on to handle trials for high-profile, high-risk or “bet the company” cases. He has also argued numerous appeals in federal and state courts, including the California Supreme Court. Aguilar v. Atlantic Richfield – California Supreme Court (Antitrust). Special Litigation Counsel to the Democratic National Convention Committee 2000 (First Amendment). Ultramar Inc. v. Citgo Petroleum – (Trade Secret, Trademark). City of Corona v. Southern California Edison (Eminent Domain). N.E.C. Business Communications Systems v. California Department of General Services – California Court of Appeals Third Appellate District (2002) (Government Contracts Dispute involving a $1,000,000,000 contract). U.S. Oil vs. Gaviota Terminal – California Court of Appeals Second Appellate District (2002) (Filed rate tariff). South Tahoe P.U.D. v. Atlantic Richfield et al. – Product liability/toxic tort (MTBE). C.B.E. v. Tosco – California Class Action (Proposition 65). F.T.C. v. Ultramar Diamond Shamrock – Federal Trade Commission (FTC). (Civil Investigation re price fixing). Sears Roebuck v. USA Petroleum – Federal District Court (Illinois) – (Multi-state; Environmental/Contract). Phillips v. Desert Hospital – California Supreme Court (Government Tort). Aguilar v. Atlantic Richfield, Supreme Court of California, 25 Cal. 4th 826 (June 14, 2001). Phillips v. Desert Hospital Dist., Supreme Court of California, 49 Cal. 3rd 699 (October 16, 1989). Speaker: "How to Use Computer Forensic Witnesses in Litigation or Investigations," Law and Forensics Webinar, July 2017. Speaker: "The Avenues of Sports Law: Breaking into the Industry," Sports Law Societies of Loyola Law School, USC Gould School of Law, and UCLA School of Law, March 2011. Panelist: “Trial Track: Expert Witness Examination,” American Bar Association, Section of Litigation Annual Conference, April 2006. Speaker: “The Emerging Political Landscape in California and the Nation,” California Farm Bureau Federation: 85th Annual Meeting, December 2003. Moderator: “The Liquid Gold Under our Feet,” Fall Symposium, Los Angeles County Bar, Environmental, Energy and Litigation Section, November 2003. Moderator: “Uses and Abuses of California’s Unfair Competition Law,” 17th Annual Environmental Law Super Symposium, SoCal Spotlight: Counseling Clients in Our Unique Environment, March 2003. Presenter: “Major Toxic Tort Trials, Hear From the Attorneys That Tried the Cases,” 2002 Environmental Law Conference at Yosemite, Environmental Law Section of the State Bar of California, October 2002. Presenter: “The Effects of the Supreme Courts Decision in Aguilar/Salezer on Summary Judgments,” State Bar of California Annual Meeting, October 2002. Presenter: “Applying FRCP 56 In An Antitrust Pricefixing Case,” ABA Antitrust Annual Meeting, Washington D.C., March 2001. Presenter: The Use of Valuation Experts at Trial; presented to the Annual Conference of Appraisal Institute and American Society of Appraisers (“ASA”), April 1998. Moderator/Presenter: Legal Developments in Environmental Litigation/Round Table, presented to the Environmental Law Section, State Bar of California, 1996. Narrator, “Deposition Testimony: 5 Simple Rules” (DVD), New Media Legal Publishing, 2008. Author, “Developments in Lender and Fiduciary Environmental Liability,” Environmental Liability, Enforcement & Penalties Reporter, April 1998. Author, “Power Litigation: The Use Of Theatre In The Courtroom,” presented to Farmers Insurance, 1997. Author, “Deposition Tactics and Techniques,” presented to the California Environmental Trial Academy, State Bar of California, 1995. Author, “Identifying Qualified Experts and Cross-Examination Techniques,” presented to the Federal Public Defender’s Office, Los Angeles, 1994. Author, “Legal Update Injury to Real Property,” presented to the Los Angeles Trial Lawyer’s Association, 1993. Author, “Environmental Litigation: Dealing with the ‘As-Is’ Contract Provision,” American Business Trial Lawyer’s Magazine, 1992. Author, “The Environmental Audit: A Management Tool to Minimize Risk of Liability,” presented at the EPA-WIP (Well Investigation Program) Seminar, San Gabriel Valley, Economic Council, 1992. Author, “Environmental Liability and Its Effect in Real Property Transactions,” State Bar Convention, 1991. Author, “Public School Liability: The Duty to Supervise,” presented to the Los Angeles Unified School District, 1989. The Selected Proceedings of the Manatt-sponsored Second Annual Santa Clara Sports Law Symposium are now available online. Manatt’s Sports Law Practice Group sponsored the Second Annual Sports Law Symposium at Santa Clara University on September 8, 2011.